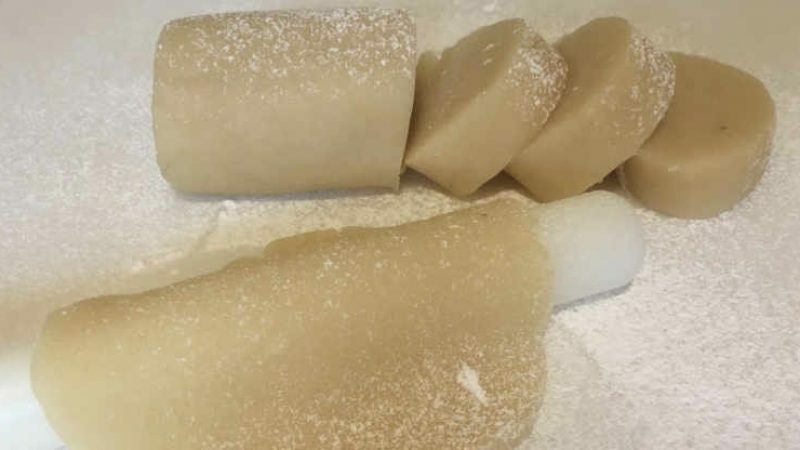 The texture of homemade marzipan is really good, and it can be rolled out to cover a cake just the same as you would use fondant or used to cover a fruitcake before you add a coat of Rolled Fondant Icing or Royal Icing. 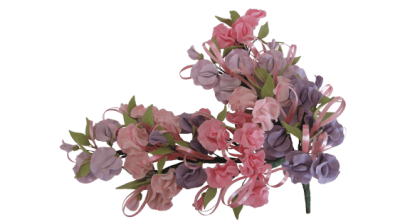 You can color it and as well as covering a cake; it can be used to make models and flowers for decorating cakes and for the popular marzipan fruits. You can buy it ready made in most cake supply shops or supermarkets, but I have had little success with pre-made marzipan. I find that it has usually dried out slightly in its packaging or it’s oily, making it difficult to work with and getting it to roll smoothly is difficult. I don’t like the fact that it may be full of preservatives and, also, that the taste is questionable. I have always made my marzipan because I know it will roll well, tastes as it should and I know that I haven’t added anything to it. I prefer the cooked method because egg whites are used, the finished product handles very well and covers a cake perfectly. 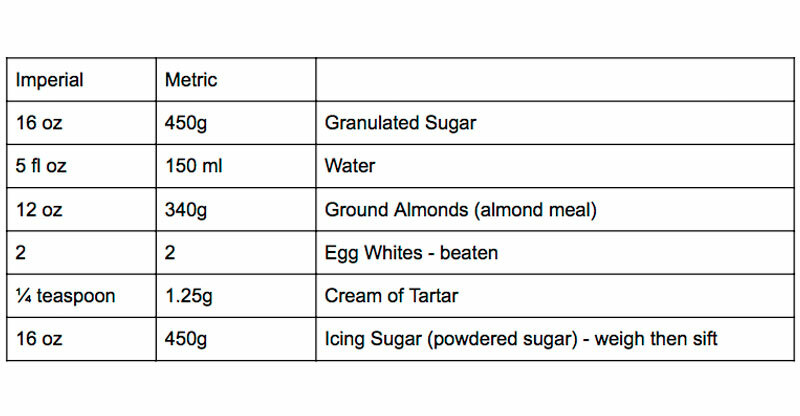 Where I live I cannot buy ground almonds (almond meal) so I buy almonds that have been flaked or chopped (or even whole almonds that I have to skin myself) and I grind them in my coffee grinder. After they have been ground I pass them through a fine sieve and return any that are not fine enough for a second grinding. It takes a bit of time, but the results are perfect. Cooked marzipan takes longer to make, but it is easier to use, gives better-finished results, is not oily and will keep well. Put the sugar, cream of tartar and water in a heavy bottomed pan and place over medium heat. Make sure that the pan you use is wider than the gas or electric ring you use; then the sugar will not burn on the sides of the pan and discolor the marzipan. 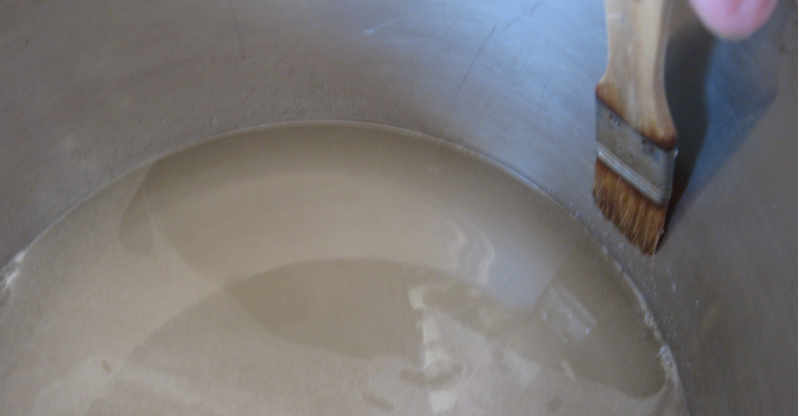 Put some cold water in a bowl that is larger than the base of the pan and put to one side. Stir the sugar mixture until the sugar has dissolved then, with a brush dipped in cold water, brush the sugar crystals from the sides of the pan to prevent the mixture from crystallizing. Let the sugar mixture come to the boil then turn up the heat and boil until it reaches the soft ball toffee stage 240ºF/115ºC. As soon as it reaches the correct temperature, remove the pan from the heat and plunge the bottom of the pan into the cold water and leave for 2 minutes to cool it and prevent the toffee overcooking, making sure not to get any of the water into the toffee mixture. Remove the pan from the cold water and stir in the ground almonds/almond meal and the egg whites. Return the pan to low heat and stir until the mixture thickens slightly then remove from the heat and plunge the bottom of the pan into cold water again to cool it down. Stir while it is cooling. When it is cool enough to touch with your hands, then turn the mixture on to a work surface dusted with icing sugar. Knead in up to half its weight in icing/powdered sugar, adding just a little at a time. The finished marzipan should feel dry to the touch and be smooth and pliable. Leave to rest for 24 hours before use. Double wrap tightly in cling film, place in an airtight container and store in the fridge. It will keep in the refrigerator for several weeks and several months in the freezer. Bring up to room temperature before use. Uncooked marzipan is faster and easier to make but tends to be less manageable than the cooked variety because the texture is more crumbly so must be rolled out carefully when used. If you are going to make the uncooked marzipan, it is advisable to use pasteurized eggs or reconstituted dried egg white powder. 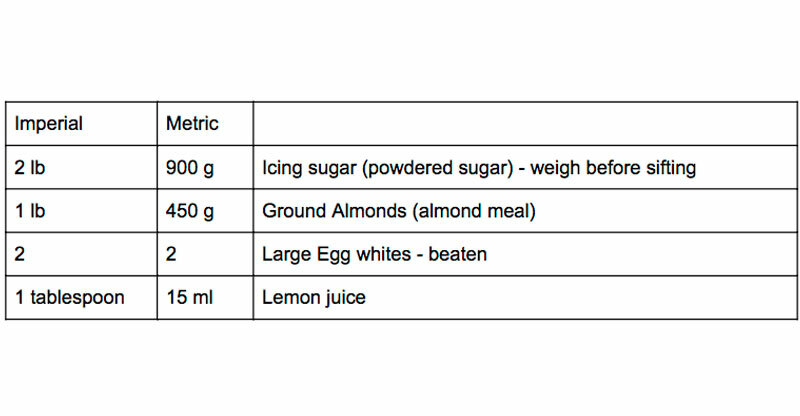 Put the icing sugar and ground almonds/almond meal into a large bowl and mix together. 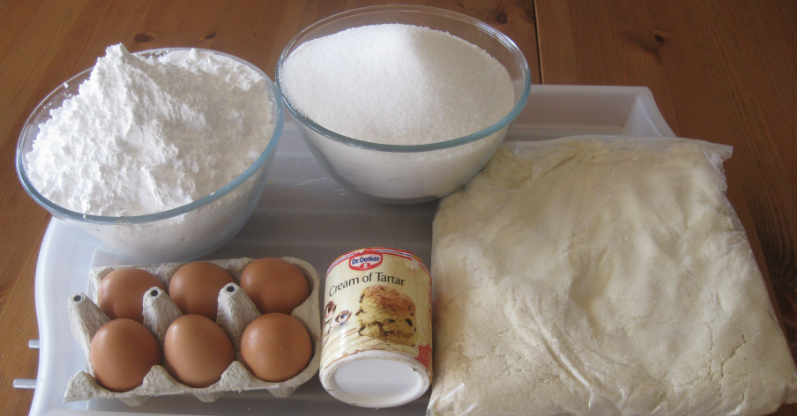 Knead the mixture together gently in the bowl, with your hands, until everything is combined. Turn mixture onto a work surface, that has been dusted with icing sugar, and knead carefully until it becomes a smooth paste. Don’t over knead or it will become oily. It will keep in the fridge for a few days if tightly, double wrapped in plastic and then put in an airtight box or it will keep in the freezer for around six months. You will need some warm sieved, apricot jam with a couple of tablespoons of brandy added (or leave it out if you don’t want to use alcohol) and your marzipan. In my blog post about the Rich Fruit Christmas Cake, I told you how to achieve making a cake that will be almost flat. My cake was level across the majority of the cake, but it did curve up about ¼ inch (½ centimeter) around the edges. 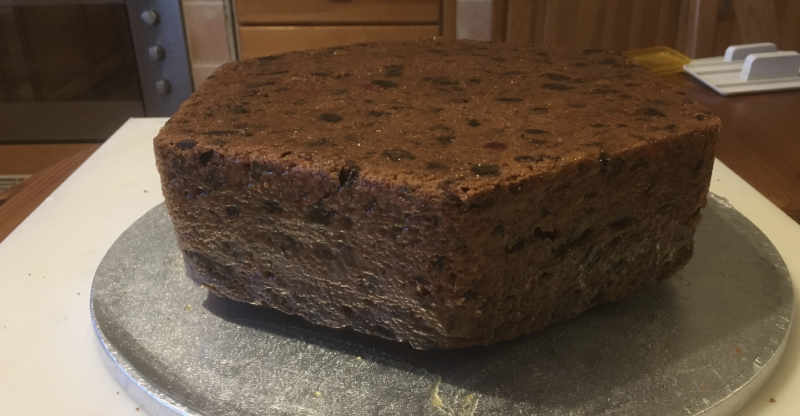 There is no need to try to cut the top of the cake to level it out if it just turns up slightly around the edge (even a bit more than mine did) in fact, I have never cut the top off a fruitcake. 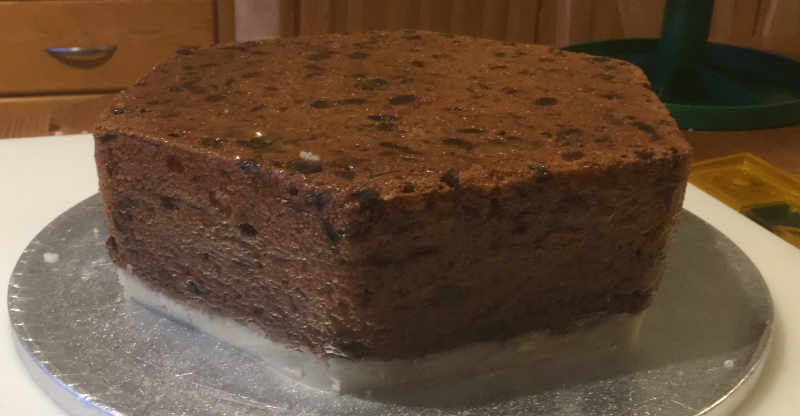 I always decorate a fruit cake directly on the board so I put a dessert spoon of jam in the middle of the board, spread it around for a couple of inches (5 cm) and that will make sure the cake sticks to the board. 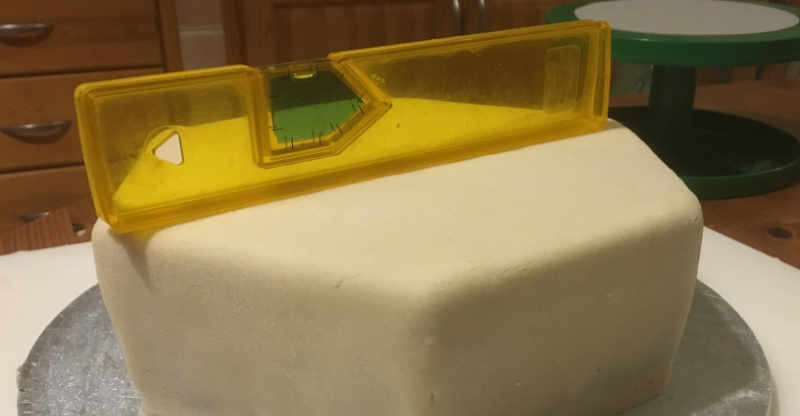 Peel any paper from your cake and turn it upside down and place it in the center of the board. Brush jam all over the cake in a thin layer. Next, get a little of the marzipan, roll into a strip and fill the bottom edge of the cake and if any of the fruit has fallen out fill the holes with marzipan and level them out. The more perfect you make the cake at this point the more perfect the finished cake will be. Never rely on the icing to give your cake a perfect finish, that will only happen if the cake underneath is perfect. Next, roll out the marzipan thinly and place it on the cake, shape it to the cake making sure that the top is level. It is now ready to put either a fondant icing or Royal icing on it. Remember NEVER put buttercream or any other soft icing or filling on a rich, fruitcake. I wish you success in making marzipan and covering your rich fruit cake. But you marzipan looks fab. Pleased you like the marzipan. I always use it & have good results with it. Tastes good too and it takes a lot of willpower to resist nibbling it.